Two weeks ago we bought two cat toys from Friskies called Pull ‘n Play. The toy is like a Weeble. which they call Wobbert. It is weighted on the bottom and it wobbles. It is shaped like an animal but I’m not sure what it is supposed to be, perhaps a bear. The head twists off so you can put treats inside. It comes with a bag of Friskies Party Mix and it also has a string-like treat that you thread through the ears. There is a small hole at the bottom so treats will fall out when it wobbles just right. When we introduced it to our cats, Chris dominated the toy. As expected, he was the first, and still only, cat to figure out how the toy works. I recorded the first few minutes of them playing with it but later, after the camera was put away, I watched Chris wobble it and then immediately look for treats. Sometimes treats would come out and sometimes they wouldn’t but he was smart enough to expect it. Later we brought the second toy to Rose’s sister, Felice. Her cats were different. The were more interested in the string and our cats were after the treats. I used to buy the Party Mix as a treat for our cats and they loved it. Here is a video from a few years ago related to those treats. I will say that I stopped buying those treats because I wanted our cats to have a more healthy treat. I now give them a raw, freeze-dried cat food that I use as treats. The brands vary because they love everything I have tried so I buy whatever is a good deal. Currently, I am feeding them Nature’s Variety Instinct Raw. After the Party Mix was gone I put some of the raw treats in the toy. Even though they love it when I give it to them as a treat, they mostly ignored it in the toy. Cats can really be frustrating at times. Has anybody else tried this toy or another treat toy? 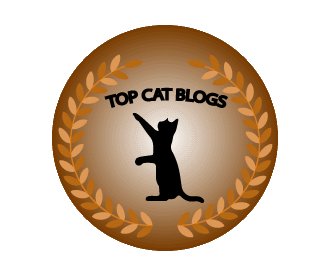 This entry was posted in Uncategorized and tagged cat toy, Cats, friskies, funny, Instinct Raw, Party Mix, Pull 'n Play, treats, Video on November 2, 2015 by Charles Huss. Good luck with that. you are right, Chris did kind of drop the ball on that last video but usually he is the first one to figure out something. That is funny how yours wanted the treats and your sister’s wanted the strings. We have this toy, but Joanie won’t quit until every treat is gone and the strings are eaten too so I don’t know if anyone else likes it. There always seems to be one that hogs all the fun. Binga goes crazy with those treat toys! Not necessarily in a good way – she is so desperate to get the treats out that she practically destroys whatever they are in. Those party mix treats are like kitty crack. Maybe the instinct Raw treats would work better for binga. OMC Whatever is comin’ outta those ears must be yummy. MOL We fink Puck figgered out dat ifin hims stood back a little and waited Chris wuld spill out lots of tweats and get busy chewin’ so hims can swoop in and get a bite or two. MOL Weez not have dat toy, and da only udder tweat toys weez twied was a ball wiff a too small hole fur da tweats we like and sumfin’ we bwought home fwum Blogpaws dat didn’t work. MOL We purrfur freeze dwied tweats and they not be very toy furiendly. Puck may be smarter than Chris because he gets Chris to do all the work. Also, the instinct raw treats are the right size and shape for this toy. Yep we fink dat Puck is purretty smart indeed. Dat’s innerestin’ ’bout da Instinct. Weez reviewed ’em afur but weez not so much like da compwessed pellet of it all. But hey, there’s sumfin out there fur every one wight??. That’s right. Every cat has their own likes and dislikes. We’re a little leery of a toy that seems to encourage cats to eat string…even if it is edible. I understand that. I have no plans to buy more of that string. Right now I have their Instinct Raw food in it but no bueno. Our cats loved this toy, especially Chris, until I put healthy treats in it. Teddy doesn’t have any treat toys but this one looks like fun. They have that one at our grocery store so I may get one to try out on him! It well at least keep them busy for a while. Thanks. Nobody seemed to care much for the strings. Chris is a clever boy. Joanie is our expert at that game. I think Chris is the smartest cat I ever met. It is amazing what he can get into if he wants to.